Social media platforms are invaluable for people wanting to connect with friends and family, but they’re also proving to be excellent tools for advertisers. While most areas of business have been affected by the popularity of social media, the advertising world has been especially impacted. With social media, advertisers can reach much larger audiences than ever before, enabling them to increase brand awareness, engage with customers, and cultivate new leads, so they continue to spend more and more of their advertising dollars on social. This year, brands are spending 33% of their ad budgets on digital—an 8 percent increase from 2014. And, as they boost their digital spend, they’re lowering their spend on TV, newspapers, and magazines. The only traditional channels that advertisers aren’t spending less on are radio and out-of-home. 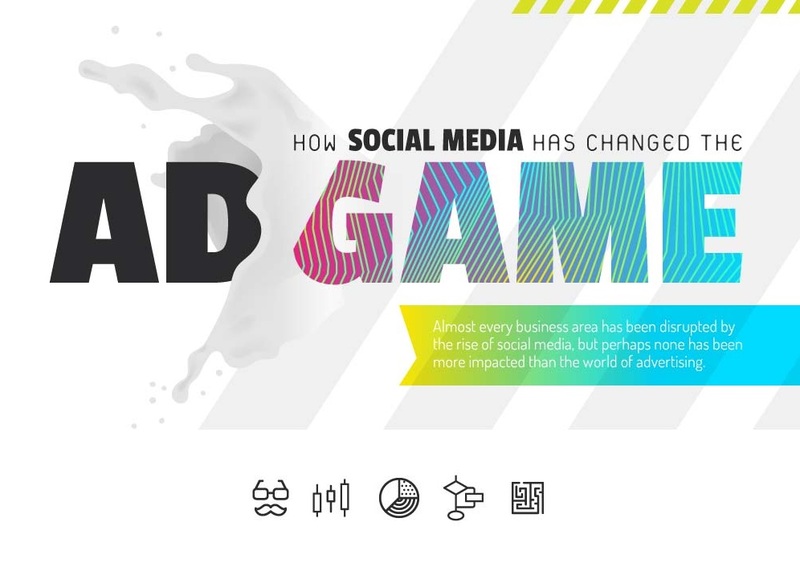 To shed light on the factors that are influencing the shift toward social, MDG Advertising recently updated its popular infographic, How Social Media Has Changed the Ad Game. The graphic provides must-have statistics for 2018 and shows that today’s consumer is spending nearly 24 hours each week online—time that’s dominated by social networks. This fact hasn’t gone unnoticed by advertisers, who are changing their advertising budgets to take advantage of the popularity of social media. Over the next five years, social media ad spending is expected to rise by 71 percent. There is simply no denying social media’s effectiveness as a marketing tool. The key to embracing it lies in the advertiser’s ability to adapt to each platform and use it in a way that’s effective. Social platforms give advertisers a unique chance to interact with consumers on a human level, with YouTube, Facebook, and Instagram holding the top three spots. YouTube is a giant when it comes to consumers spending time on one particular site. More than 73 percent of adult consumers spend their screen time browsing here. This creates huge potential for advertisers to connect and give their brand a face that their consumers will respond to. YouTube has over one billion users, and this statistic alone could easily lead to massive exposure for an advertiser. These users watch hundreds of thousands of hours of YouTube videos each and every day, from 88 countries and in 76 different languages. The second most popular platform is Facebook, where 68% of consumers spend time. This gives advertisers the ability to get their ads out to a vast pool of consumers. Facebook ad campaigns are easy to customize to suit the advertiser—there are currently over 50 million Business Pages on Facebook. Instagram claims the spot as the third most popular social media platform, with just over one billion active users at the start of 2018. It’s one of the fastest-growing social media platforms to date, with monthly updates to improve the user’s experience. There are currently over one million active advertisers on this platform, and they’re projected to earn upwards of 6.84 billion U.S. dollars in ad revenue by the end of the year. What does this mean for advertisers? The popularity of social media platforms is going to keep increasing, so there will continue to be a shift away from traditional marketing techniques as advertisers focus more on social media. Advertisers’ goals will continue to evolve to keep pace with the ever-changing marketing environment. Their task will be to take advantage of the opportunities that are unique to social media and develop advertising strategies that will maximize their brands’ potential, conversion rate, and engagement with new consumers. While most advertisers feel that social media is worth the investment, they still face challenges when implementing a strategy. Even though impressions and social shares can indicate success, it’s not easy to tell whether they’re adding to the bottom line, so measuring ROI is often difficult. Plus, tracking performance across several channels can be a daunting task without the proper tools, and content creation can be a challenge. Ultimately, successful brands will adapt their social media ad strategies to reflect a dynamic, ever-evolving audience. To stay in tune with the latest consumer and technological trends that will help brands thrive, take a look at MDG’s informative infographic.